Dr. Rodney E. Pennamon, Ph.D. is an adjunct professor of clinical mental health counseling at Argosy University. 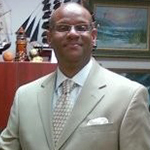 He has served in a variety of professional positions in higher education, health and human services and non-profit agencies. Boasting of twenty (25+) years of diverse experience encompassing adolescent behavior, learning disabilities, rehabilitation medicine, psychology, clinical mental health and counseling, Dr. Pennamon is quite literally a skilled veteran in the field.